Welcome to our church - we invite you to look around and get a feel for our church. If you're not currently a member of our church - we'd like to take this opportunity to invite you to our weekly service at 10:30 a.m. Please join us for our Sunday school at 9:30 a.m. Feel welcome to join us for any of our activities listed on our calendar. And of course, feel free to reach out and call Pastor Robyn Kistemaker. It is our sincere hope that you and your loved ones will have a very spirit-filled experience with us as we join together in worship and in fellowship, through our ministries and worship! 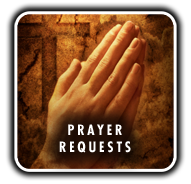 We'd also invite you to make an online prayer request. We believe that God wants so very much to connect with us, and one way to connect is through prayer. If you have a concern weighing on your heart or a joy that you would like to lift up as a prayer of thanksgiving, please share with us! Romans 8:26: "Likewise the Spirit helps us in our weakness; for we do not know how to pray as we ought, but that very Spirit intercedes with sighs too deep for words." Men's Hog Roast Our annual hog roast will be held on Saturday, May 23 at the church from 11:00 a.m. - 6:00 p.m. Please fill out the form below if you would like to be added to our mailing list. To go forth faithfully in service and witness showing the love and forgiveness of Jesus Christ in the world!